What would you do if your heart was torn between saving yourself or your first love? For Nessa that question is a reality. If she is not surrendered to Central in a week, then Garrett will be executed and war will ensue. Countless lives rest on the shoulders of eighteen year old Nessa. 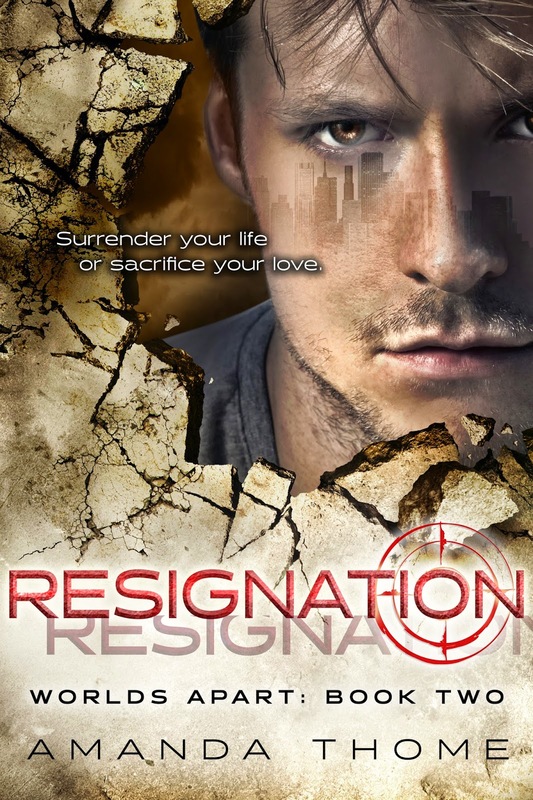 Is she strong enough to surrender herself to the government that’s holding Garrett hostage? Can she sacrifice the life she’s built to save him? Life comes down to a series of decisions, the question is; could this be her last. My ribs blast with pain but I straighten out and run as fast as I can. The hum of the hover gets louder as it takes a right turn. The fluorescent lights dance along the ground as it searches the darkness for people like us. I imagine the pilot having a picture of me posted in his cockpit, I bet there’s a reward for capturing me, dead or alive. “You’ve got to go faster Prem.” Marcus barks as he pulls my arm forward. I reach my feet out as my head spins. The lights skim left and right closing-in on us. “We’re almost there.” Marcus says pushing me to keep moving. My side splits and my chest squeezes, the lights sweep close behind us. We keep running and are almost at the stairs. I hit the first step with a thump. Marcus pulls me up, taking them two at a time. My foot catches and I know I’m about to fall. I can sense my body losing its center. I plow forward reaching my hand to break the impact. “Like hell you are!” Marcus shouts reaching under my legs, pulling me into his arms like a child. It all happens so fast that I can’t process everything. My head bounces as he scales the stairs with me cradled in his arms. The lights close in. The craft rockets forward toward our position and the lights dance less than an inch from the back of his boots. I open my mouth to scream, just as I do Marcus throws us sideways. He dives on top of me with his chest beating against my back. My ribs scream as he bears down over me. 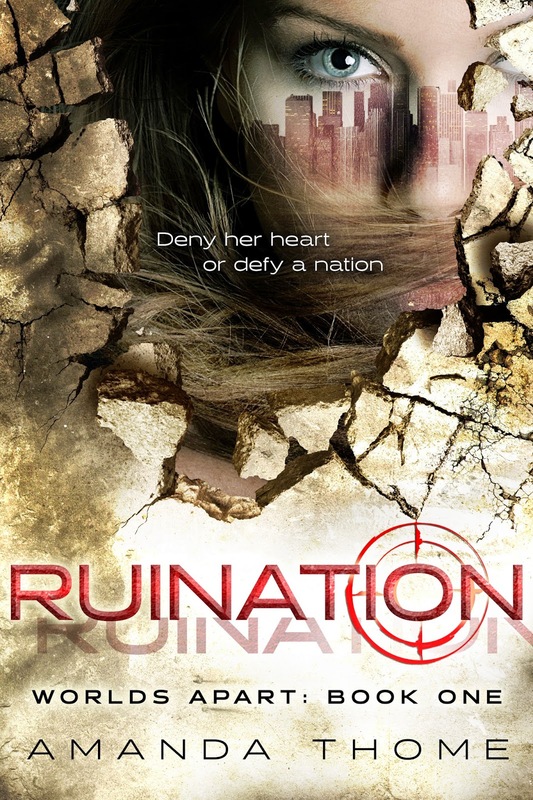 Ruination is the next YA dystopian trilogy that will hook you from the start! If you liked Veronica Roth's Divergent series or Suzanne Collins Hunger Games series then be prepared to get addicted to Ruination. Amanda Thome is the Author of Ruination, book one in the Worlds Apart dystopian trilogy. Amanda grew up in Maine and later moved to Pennsylvania where she obtained her bachelor’s degree from Ursinus College. She later received her doctorate degree in Physical Therapy from Columbia University. 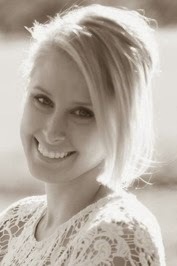 Amanda currently resides in San Antonio, TX with her husband Clint.